Just draw two squares one with 20mm sides and the other with 22mm sides on a piece of paper. Cut them out and presto! Decide. Here's the 44/42 and 40/38 comparison. Just cut the red off to get the Series 3 sizes. This information by itself is very useful. Yes, but what about a pyramid? They're too big. Why does Apple suddenly have a fixation with size. If they would have kept the same 38mm size, I'd be in line for a gen4. But I don't want a bigger watch. Pretty soon we'll have iPhone sized watches and iPad sized phones, and they'll make a iPad the size of a laptop.... oh wait. Seriously? A 2mm difference is too big? 1/16 of an inch? What won't people complain about when it comes to Apple? 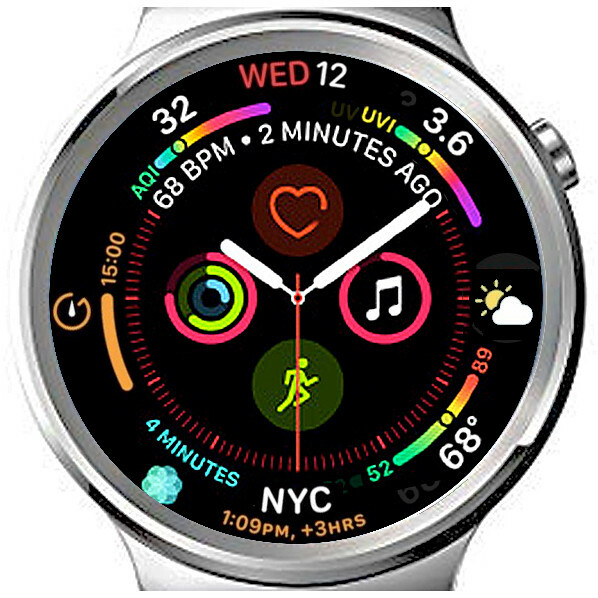 Now compare it to the 42mm Huawei watch ... it's now larger than the watches many were saying were too big when the Apple Watch first came out, and the Huawei still has more display area, and no bezels. I question how useful the extra display area in a round display is. I'd argue it's less useful, and that that's the obvious reason why we don't have, you know, round monitors. What are you talking about?!? In this example, the round 42mm watch displays everything that the rectangular 44mm square displays, PLUS it has the areas outside that rectangle. You just can’t imagine putting anything there, like, say, a complication or any number of Apple apps that use a round metaphor, like activity rings, volume, or progress toward running goal? 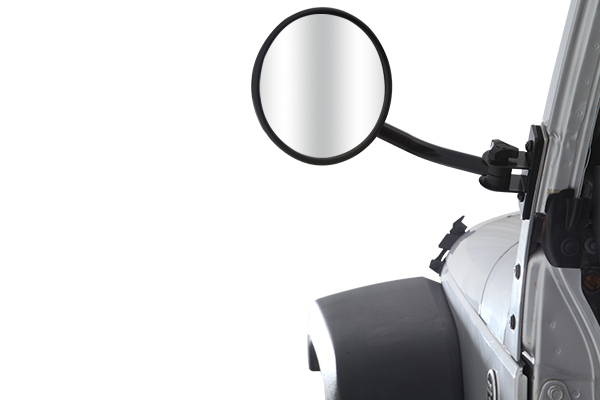 Is the round monitor meme really so important to you that you willfully ignore all the extra real estate? If it’s a meme then it’s because it’s true — round displays are less useful at rendering screens of data, which typically are aligned in columns of scrollable information. I see no reason why that is different on a wrist-worn screen than a desktop screen. A rectangle does and will always render more. You have to make the circle bigger in order to show the same, even in the mock-up example. Fitness rings and complications are not the majority of data I view on my watch. I love the false equivalency argument, that somehow a wristwatch, long a fashion and jewelry item worn on the body, is somehow equal to a TV, or desktop video display for watching video, viewing photos and handling spreadsheets and documents. There have been triangular shaped watches as well, though not particularly popular or in widespread use, but an excellent example of how people who wear things on their body desire a choice of style, regardless of the functionality of the device itself. 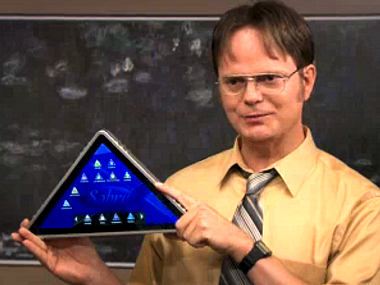 However, I would never expect to see a triangular phone, tablet, laptop, desk display or TV, either. That said, let me say that a round monitor would neatly solve the recent problem that's arising out of portrait video being shot on smartphones. 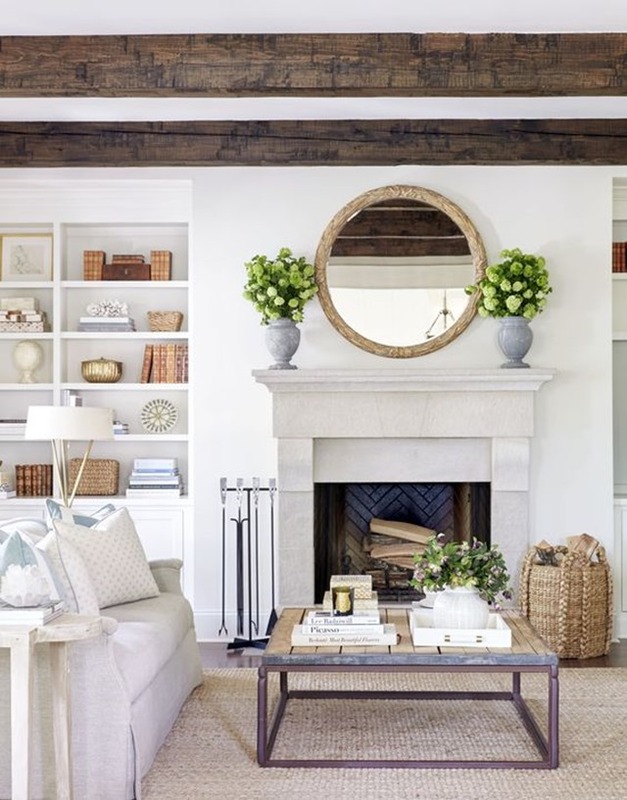 The aspect ratio could quickly change from horizontal to vertical, maintaining full resolution, without resorting to shrinking the image down dramatically within extremely wide pillar bars. And it has the potential to handle different aspect ratios, like IMAX and 16:9 without changing the size as well. Desk monitors could swivel, but a round wall mounted TV wouldn't be unreasonable, and just like the much smaller wristwatch, also serves a fashion and decorative function as well. Nah. If such a thing weren’t truly a terrible idea, we’d have them. The market has explored it, and voted. Rectangular displays are more efficient at displaying ordered data, ie lists and columns. Going even further, why do cameras use rects? Going back further, why did painters select the rect as the normal canvas instead of a round one? Why is “portrait” mode a vertical oriented rect? Yeah except the real product isn’t a piece of paper. I did this for the original 38 or 42, liked 38 better. Then got the product — too small compared to the real 42. Had to exchange. Get ready for a lot of goal post shifting and straw man arguments. Gotta love false equivalencies, and people who confuse their opinion with objectivity based on vague observations and anecdotal generalities. Thank you! That's a nice comparison. But I wish that, in the pictures of the series 0-3 they had used the same watch and face for the series 4. The series 4 here looks much bigger because of the very visible silver frame versus the black one used for the series 0-3. Plus it looks like the series 4 has flashlight mode on which makes it appear even bigger. But, for myself, I prefer the larger size. That's partly due to my old, near sighted eyes and fat fingers. But also because I use it for running and trying to read a small watch face while running is hard enough without making it a smaller watch face. It is also possible that this is regional, or linked to adblocker settings. The document is getting read. I really don’t want to join Scribe to download a pdf. Yes, it’s free for a while, but it’s a pain. Why couldn’t you put the pdf in the article, directly? You aren't able to see the document in the main article? A PDF would be nicer, but I've personally never had an issue with Scribd on Safari for Mac. When I went to that link in someone’s post, I did get there, but not from the one in the article. I was just wondering why the pdf wasn’t posted directly in the article itself, rather than having us go to Scribed, which has a lot of problems, including crappy security, and required registration for a download rather than just for a look-see. What’s nice about these is that while the small case is now between the two old ones in size, though the diagonal remains the same, the screen is larger than last years 42mm. I expect that a lot of people who bought, or were thinking of buying the bigger version will now find the smaller one to suffice. Very funny. If you look at some very expensive mechanical watches, there are so many small complications that you can’t figure out which is which. Still hate the round shape for this no matter what you try to do. Exactly. One way to look at this is now that Apple increased the size of each watch a tiny bit, but instead then shrunk the size of the larger watch, dropped the small watch, and added a new larger one. If you have the larger one today (as I do), the natural equivalent (with the same sized screen) is the smaller series 4. And the price difference between a large series 3 and the small series 4 is just $90. A circular shape watch used to make sense because its sole purpose was to show an analog clock. Apple Watch is more than that and therefore a circular design doesn't make any more sense, except for traditional aesthetics. A round design is not optimal for a smart watch, period. If the new generation gets used to square watches, that 'traditional aesthetic' will disappear largely. There have been square watches for decades which come and go with the fashion trends of the day, yet that shape was never the most popular, despite the superior ability to display complications. Aesthetics are a much bigger factor in a persons decision making process than you're giving credit for, especially when it comes to something people wear. Small round eyeglasses are less optimal for vision than large rectangular eyeglasses, yet they continue to offer eyewear in all shapes and sizes -- because people care how things look on them that they wear. 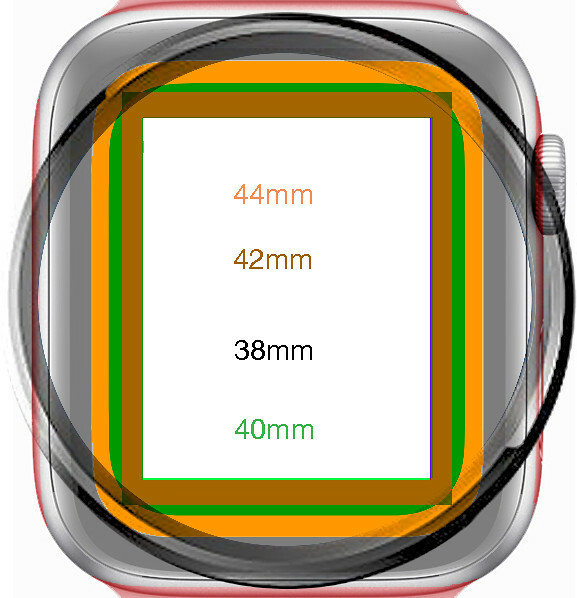 Everyone arguing against a round watch keeps repeating the same thing -- blocks of text are more optimally rendered in a square than a circle -- a fact I'm certainly not debating, nor is Jony Ive. But that argument assumes people want to scroll through pages of text on their wrists. Once the text issue is removed, round shapes do just as good a job of presenting glanceable information, text or otherwise, as square. Jony Ive stated early on that the watch was meant for quick glances, and anything more a person should pull out their phone. In the end your rebuttal relies 100% on the fickle whims of society accepting a new paradigm in wrist wearables, and will give up all the trappings of fashion and accoutrements, for the sake of pure pragmatism. Jony Ive knows by his statements that people have the expectation of choice once they wear something, that people are going to want what they want, and aren't likely to just get used to something when it comes to items they wear. And it's not just what people wear, it's what they surround themselves with. 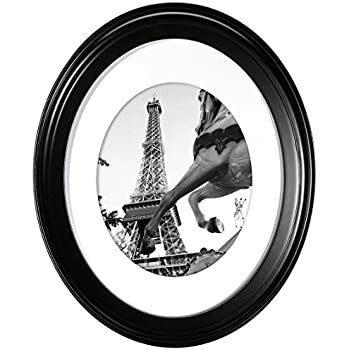 What sense do any of these make, when photos aren't round, and round mirrors limit the field of view? Aesthetic choices often aren't pragmatic, and it's unreasonable to assume that this will change with smartwatches. I'm not surprised they went bigger because it's a versatile wrist-worn device you interact with (not just look at). I suspect the next transition (assuming they can't just make the display larger without making the casing bigger (i.e. : reducing the bezel even more) will be to alter the aspect ratio so that it grows in side in the one way we have plenty of "wrist real estate" to spare. Of course, I don't think this will happen until smartwatch is considerably more commonplace and culture changes to accept larger displays, not unlike how the original iPhone screen was yuge until their efforts for the modern smartphone made larger display iPhones a must. The new watch looks great. I think it will be an huge seller due to the bigger screen and new heart sensors. I can't wait for the iFixit teardown. I'm wondering if they are using Solid State batteries in the Apple Watch. I think solid state batteries could be a big leap for both the Apple Watch and iPhoneX series. I expect them to show up in the watch first the same way OLED was on the watch first. It would be great for making the watch either thinner or increasing the battery life to 36-48 hours or having an always on display for the time. It’s funny, but while I knew it, I didn’t really think of it that way, but you’re right. We can think of them as having dropped the smaller model while shrinking the larger slightly, and giving a slightly bigger screen, and coming out with a slighter bigger model with a much bigger screen. but not a single one of them looks anywhere comparable to the Watch in craftsmanship. I’m, of course, not talking about the not really smartwatches by the high end mechanical watchmakers, for much more money. Those can look great, but they’re no more than fitness trackers that are much harder to use than real fitness trackers. the rectangular vs round esthetics questions are highly irrelevant. But people are making statements that the Watch is ugly, when clearly it is not, having won a number of design awards. I’d like to see some others that have won comparable awards in recognition of design esthetics.